Managing the lead up to any event or conference can take a lot of time and resources. But there is advanced event management software and services available to make it a lot easier. Below are a few ways in which ConferenceNational utilisies advanced technology to take the stress away from the event organiser and help save on costs, while enhancing the attendee experience. Streamline the attendee registration process through ConferenceNational's sophisticated and responsive online registration forms. Enjoy full customisation with the ability to offer multiple registration types, promote early bird specials, sell social function tickets separately, ask custom questions and more. Track attendance through robust reporting systems. First impressions are key, and your event info website is the first place your attendees will visit! ConferenceNational offers engaging, branded and responsive websites which serve as a central hub for important event information including event programs, speaker information, sponsor/exhibitor information, registration instructions and social functions. 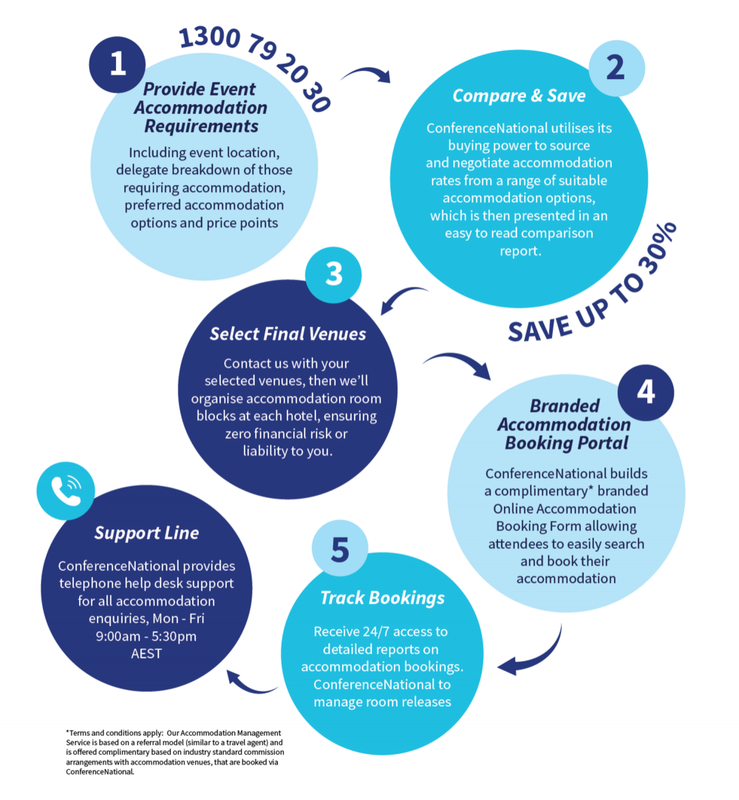 Our online registration forms and accommodation booking portals can also easily sit within your website to ensure a streamlined experience for your attendees. Conference apps are brilliant way to create an engaging and impressive event. Give attendees access to key event information including daily schedules, session data, event layouts, important phone numbers, directions and more. Post news articles, schedule changes, reminders and even load information such as local restaurants and points of interest.